Aquas is Smartphone series by a Japanese brand called Sharp, they are in the Smartphone marker for quite a while, Last year the company launched Aquos R Compact which also looked ugly because of its tiny notch above and a gigantic Bezel on the bottom which includes fingerprint Sensor. 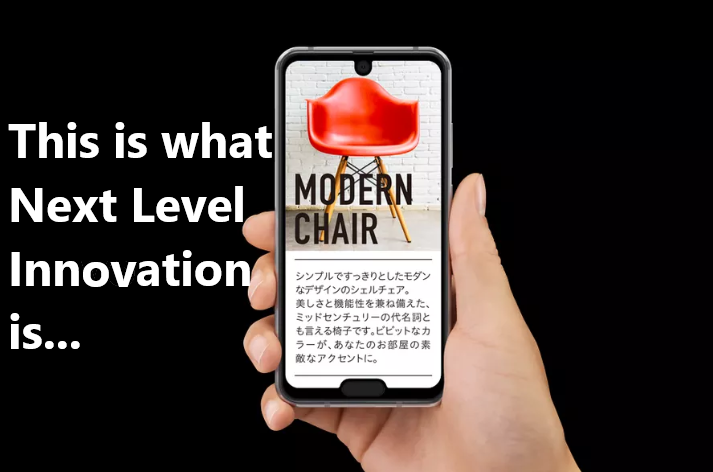 This time Sharp thought something new and cut down the bezels with keeping the fingerprint scanner at its place, This makes this phone to have two awful notches. The Notch above is for the Camera and the foul Notch at the bottom is for the fingerprint Scanner. Aquos R2 compact sports a 5.2-inch 2280 x 1080 (Full HD+) IGZO LCD. In spite of the awful looks it is powered by world-class Snapdragon 845 SoC coupled with 4G RAM and 64GB of internal storage. The Strange thing is the 2500mAh battery that is powering the Powerful processor. Out of the box it comes with Android 9 Pie. It features a 22.6-megapixel camera it has Bluetooth 5.0, Wi-Fi connectives. We hope the upcoming devices of Aquos line-up do not follow the same innovative Notch growing pattern, the R1 has one Notch, R2 has two, What if R3 comes with three it will be a disaster! Though the Strange/Ugly/Awful looking Aquos R2 Compact is expected to be in the market in mid-January 2019. Stay tuned with Alloftop for more updates on Technology!